With Veteran’s Day right around the corner, it is important to honor those that have served our country. This time is also a good opportunity for members of the military and their loved ones to consider setting up an – or revising an existing – estate plan. Military families need to consider special estate-planning issues that others do not. This is particularly true when one or more family members are deployed overseas. Beyond this, members of the military have access to special benefits and resources. This can become complicated and, for this reason, it is important that you seek special help if you are a military family. Wills and Trusts – a last will and testament, to whom and how you want your property distributed, names who will administer your estate and specifies who will care for a minor or special needs child. A trust, on the other hand, is a separate legal entity that can hold property and assets for the benefit of one or more people or entities. For most families, a trust-centered estate plan is a better fit, but a will can work for some families. Other benefits for survivors – survivor benefit plans (SBP) are pension-type plans in the form of an annuity that will pay your surviving spouse and children a monthly benefit. Likewise, dependency and indemnity compensation (D&IC) provides a monthly benefit to eligible survivors of servicemembers or veterans (1) who die while on active duty, (2) whose death is due to a service-related disease or injury or (3) who are receiving or entitled to receive VA compensation for service-related disability and are totally disabled. When you are examining any financial services or insurance product, it’s a good idea to work with us to make sure any beneficiary designations work the way you expect and provide the maximum benefit to your family. An estate plan has multiple objectives: to provide for your family’s financial security, ensure your property is preserved and passed on to your beneficiaries, and determine who will manage your assets upon your death, among others. We are here to guide you through the best options available to you and your family. 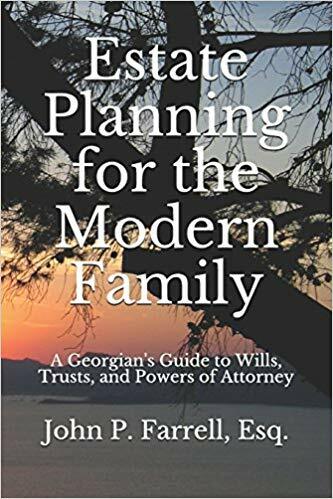 Give us a call today at (678) 809-4922 or get our book, Estate Planning for the Modern Family.